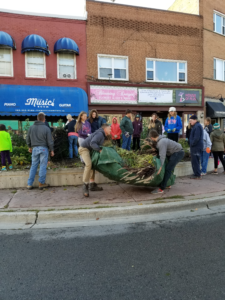 HALDIMAND—Haldimand is home to not one, but two horticulture societies, both of which have a mission to beautify our local towns. The Dunnville Horticulture Society was established in 1929 with only a plan to plant trees within Central Park. Now 90 years in, they have grown significantly and spearheaded many projects, including creating flowerbeds throughout Dunnville. 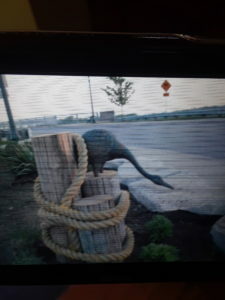 The society has just completed rehabilitating Centennial Park, where residents and tourists often stop to see the iconic Muddy The Mudcat. Included in the rehabilitation was rebuilding the historical aspect of the fountain, planting flowers, and repaving the pathways. 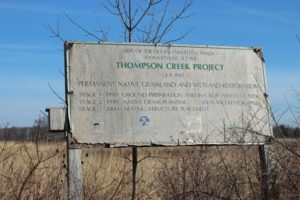 This has led them to rebooting the Thompson Creek Eco Centre Project. In the coming season, the society will be restoring the 45-acre site for an educational purpose. They also will be working to fully repurpose the floral clock and add a story board including local historical sites. “We could not continue doing what we do without our Board of Directors and volunteers. We have about 200 members currently who devote so much time to our projects, planting and maintaining our gardens,” said Zynomirski. 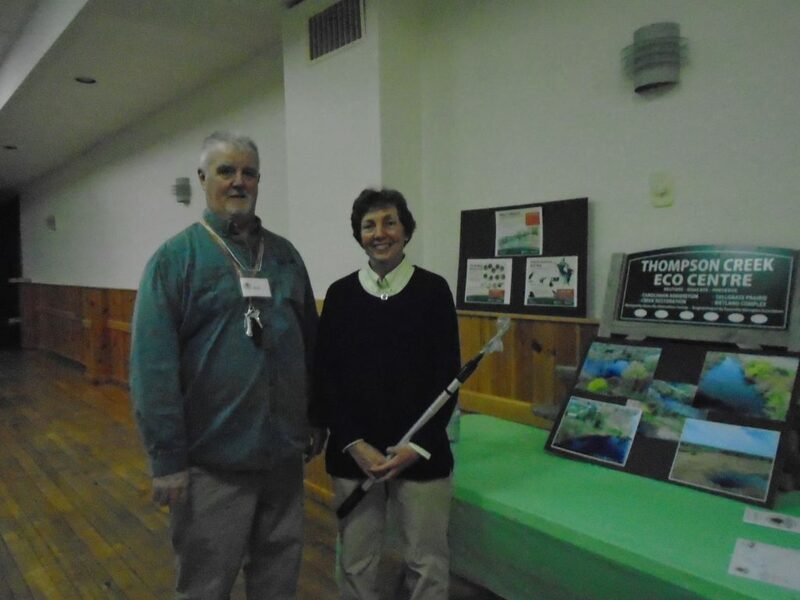 The Haldimand Horticulture Society, which meets in Caledonia, is still a sapling in comparison, having been established in 1984. At that time, they were planting various gardens throughout Haldimand and maintained them with pesticides and weed killers. This year, the society will be focussing on planting trees for the “future of our world” throughout the River Walk and Riverside Park, as well as maintaining their gardens at the West Haldimand General Hospital, the dam, Centennial Hall, and more. “Our members and volunteers spend over 1,500 hours each season maintaining all of our flowerbeds. We couldn’t do any of it without them,” said Slack. Both Dunnville and Haldimand are eagerly welcoming new members to join them to continue bringing out the beauty of our towns. For more information on the clubs, their events, or upcoming meeting dates you can visit Dunnville at dunnvillehortandgardenclub.org or Haldimand at haldimand.gardenontario.org. Considering that a gardener can easily grow as many pounds of sweet potatoes in a hill as white potatoes, it seems ridiculous to pay up to 10 times per pound for sweet potatoes as white potatoes at the grocery store. Perhaps the difficulty in locating slips and the exorbitant cost of purchasing rooted sweet potato slips also discourages growing sweet potatoes. Growing slips is exceedingly easy. As a house plant, it’s probably the easiest! The alternative is to purchase a couple sweet potatoes from the local grocery. By placing the potato in a container of water in a warm, sunny location, it will soon send up sprouts. The photo shows one growing in a well-lit window. There is enough nutrition in the potato that allows it to be grown in water while producing this voluminous growth, although growing submerged in soil produces healthier slips. Near the middle of May, the vine can be cut into 30cm lengths with all but a few leaves removed up to the upper end. When placed in water, the pieces of the vine will root in less than a week for planting into the garden when the soil warms by the second week of June. There are many varieties of sweet potatoes. Superior, with leaves resembling a soft maple tree, is easy to grow. By saving a few tubers each year, this particular variety has been growing in our garden for over 50 years! Lester C. Fretz, M.Sc., is a member of the Dunnville Horticulture Society. DUNNVILLE—Shown at Dunnville’s annual “Quint Night”, a gather of the local service clubs on Wednesday, February 13, 2019 is (back, l-r) Lion Steve Allen, Kinsmen David Welsh, Optimist Don Zynomirski, (front) Legion member John Wood, Lioness Vicky Almas, and Horticultural Society member Deb Zynomirski. Absent from photo is Rotary member Sandie Herweigh. —Submitted photo. DUNNVILLE—The Dunnville Lionesses hosted the annual Quint Night at the Optimist Hall on Wednesday, February 13, 2019. Guest speaker for the evening was Dunville resident, Josie Penny – author of “So Few on Earth” and “On the Goose”. She shared some of her life experiences growing up in Labrador. 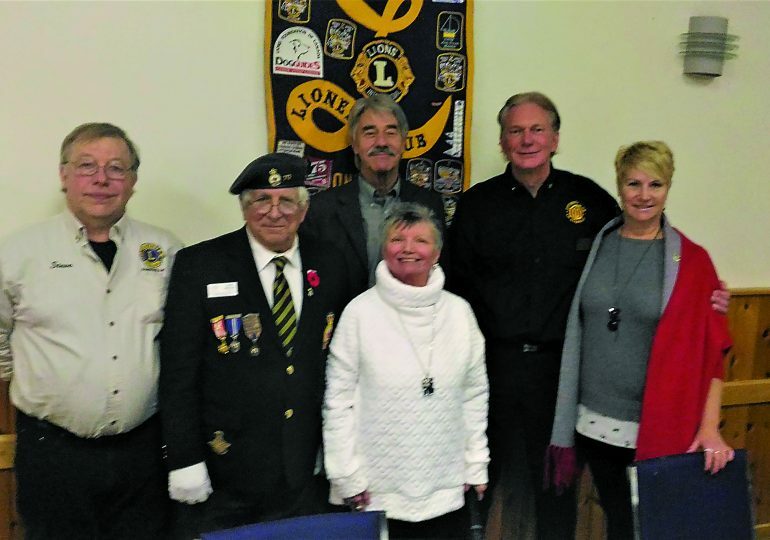 The Dunnville Service Clubs – Kinsmen, Legion Branch 142, Lions/Lioness, Optimist, and Rotary, along with the Dunnville Horticultural Society, gathered for an opportunity to network and share their stories and their upcoming projects. Emcee Lioness President Vicky Almas introduced the Service Clubs in order of the years that they were founded. The Rotary (est. 1905) focuses on literacy, poverty, seniors, and mental health. Upcoming Rotary fundraisers include the April Urban Challenge and the September Golf Tournament. The Lions (est. 1918) support local sports, the Sports Park, and the White Cane Club. Upcoming events include the April Home & Garden Show, Lobsterfest, and Mudcat Festival activities. The Optimists are celebrating 100 years of Optimism. Dunnville Optimists placed first of 57 clubs in the District last year (see more on Page 13). March fundraisers to support the Optimists’ work with the youth in the community include ABBAmania and the Holiday Bazaar. Kinsmen (est. 1920) raise funds through hall rentals and selling fireworks. They also support a local amputee. Legion Branch 142 (est. 1929) support veterans, the Salvation Army, Air Cadets, Dunnville Hospital & Healthcare Foundation, and more. They will be holding an open house to celebrate their 90th anniversary. The Lioness are the youngest Service Club at 70 years old. All funds raised by the Lioness from the January Thaw, Murder Mystery, and Girls’ Night goes directly back into the community. They are currently partnering with the Lions on the building of the Splash Pad in Lions Park. Dunnville Horticultural Society currently plants and maintains 23 flower beds in Dunnville. There are two projects in Dunnville – the current Floral Clock will be restored as a storyboard to depict the landmarks of Dunnville; and the Thompson Creek Ecosystem Phase 2. For more information on clubs or upcoming events, check Facebook and/or the various clubs’ websites. Often gardeners ask, “Why do my tomatoes develop blossom end rot?” A simple solution to this disappointing situation is to save your egg shells. 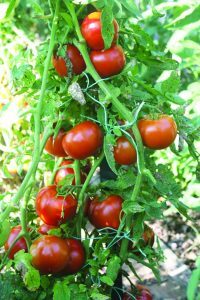 Although nitrogen, phosphorous, and potassium are important for healthy plants, calcium is also very essential, especially to produce a great tomato crop. 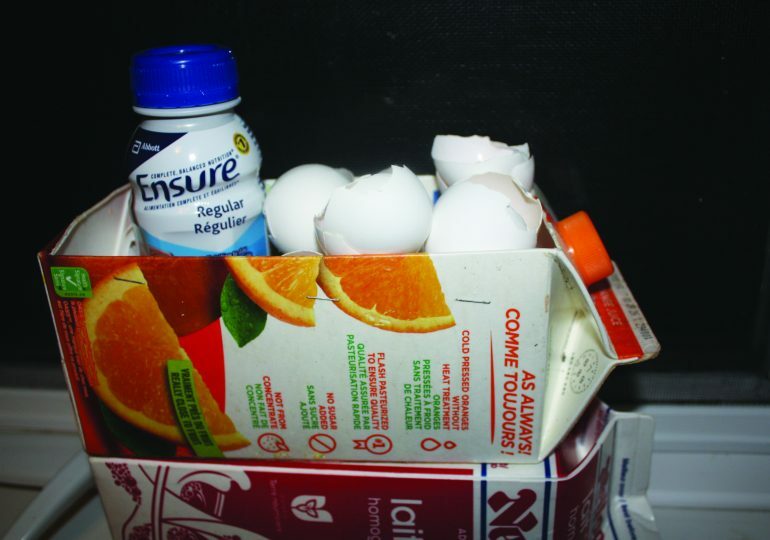 As shown in the photo, by placing a container in a convenient place, egg shells for your garden can be easily “harvested”. 1. Place the shells in a container without washing them, as the inner soft skin contains valuable organic matter. 2. After they have dried for a couple of days, use a grinder or some sort of item to crush them. The photo shows a simple item to ensure they are finely ground. 3. The contents of the kitchen container can then be transferred to a larger container to accumulate for spring planting. 4. At planting, place a handful of crushed shells in the bottom of the hole dug for the tomato plants. Adding coffee grounds will also add nitrogen to the soil. 5. Rotate the location each year for growing crops such as tomatoes. 6. For an abundant supply of egg shells, request a restaurant which specializes in breakfasts to give you what they produce in one day.